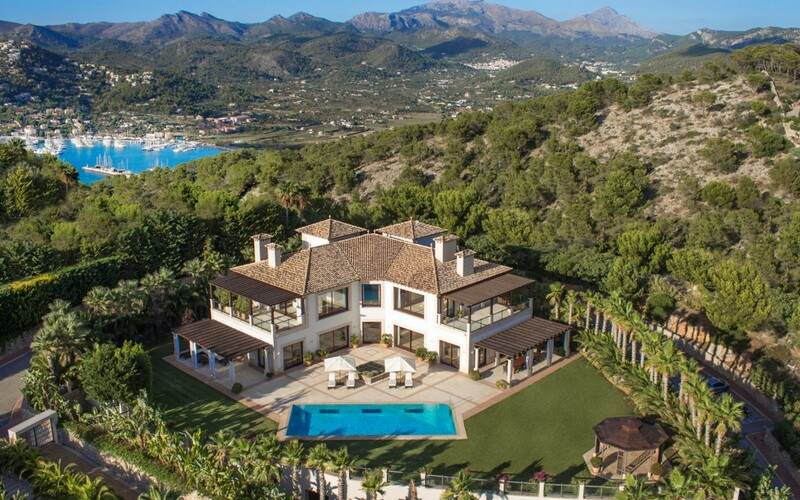 Villa Son Balagueret is located within the stunning 680 acre estate of Son Bunyola approximately a 40 minute drive from Palma. Son Bunyola is only a few kilometres from the traditional Mallorcan villages of Banyalbufar and Esporles where you will find a variety of restaurants, tapas bars and other local amenities. Located on the picturesque Spanish island of Mallorca, the estate of Son Bunyola covers 680 acres of stunning landscape on the northwest cost of the island, surrounded by grape vines and olive and citrus trees. Villa Son Balagueret is the latest and newest addition to the beautiful and vast Son Bunyola estate and is one of three luxury villas, with Sa Terra Rotja and Sa Punta de S’Aguila completing the trio. Relax and unwind with family and friends in a tranquil setting that perfectly balances the need to ‘get away from it all’ with the opportunity to explore the great outdoors and sample some of the best the Balearic Islands has to offer. 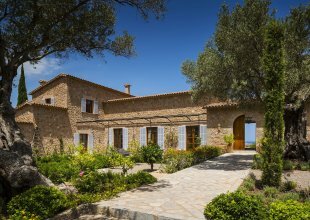 Son Balagueret is a traditional and secluded four bedroom Mallorcan villa with plenty of space for guests to relax and take in the beautiful views of the Mediterranean Sea. This villa is full of history as the original turret dates back to the 13th century. The small slotted secret windows would have been used for signalling to similar lookout points in the area to warn of possible attacks. Spread over three floors, Villa Son Balagueret can sleep eight adults in four bedrooms plus an additional day bed. One bedroom is located in the villa’s signature turret, with a curved stairwell leading from a luxurious bathroom on the lower level, which leads up to the first floor sitting room (where the day bed is), and ultimately to the upper level bedroom. All four of the bedrooms benefit from fantastic views of the dramatic Mallorcan landscape. Villa Son Balagueret boasts an interconnected lounge and dining area, a perfect place to eat your breakfast together and start your day. Step outside where you can make the most of the beautiful weather and delicious cuisine and a glass of wine in the spacious outdoor dining and lounge areas, both offering breath-taking views of the coastline. From here, you can make the most of the villa's amenities and head to the central sheltered courtyard where you can relax in a cosy corner with a good book, head to the private heated swimming pool (12 x 5.5 metres) or play a spot of tennis on the shared tennis court. Price is based on a fully exclusive basis of Villa Son Balagueret. The rate includes a daily continental breakfast and lunch and dinner with complimentary drinks for six nights of your stay. • Bedroom 4: Double bedroom/twin room with en-suite bathroom. • Bedroom 2: Double bedroom/twin room with en-suite bathroom. • Bedroom 1: Double bedroom with en-suite bathroom. • Bedroom 3: Double bedroom in the turret with the bathroom below on the lower level.